It's hard to believe it is already March. We have a very long issue for you this month after a busy start to 2017. If there is anything you would like to see in future issues or if your organisation would like to submit an article for consideration please feel free to contact us on 6231 3265 or by email admin@cotatas.org.au. Would you like to be more actively involved with COTA Tasmania? 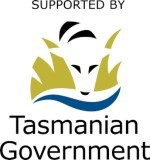 COTA TAS currently has 3 vacancies on its Tasmanian Policy Council. If you are passionate about encouraging our community to think positively about ageing and championing the rights and interests of older Tasmanians we would love to hear from you! We are always keen to have a diverse range of views represented in policy council discussions and encourage people from a wide range of backgrounds and interests to apply. If you would like to express your interest in becoming a member of the policy council it would be appreciated if you could tell us about your experience in relation to the following criteria and send it to COTA Tasmania (att: Deb Lewis) by Friday 10 March. We kicked off 2017 with a meeting in Launceston to share information on topics of interest to older people. It was great to hear from everyone who came along, there was plenty of discussion on a wide range of issues. Special thanks to COTA TAS Board Member, Glenda Daly, for initiating this event. Our next meeting will be held in April, if you would like to attend please contact our office on 6231 3265 or email admin@cotatas.org.au. 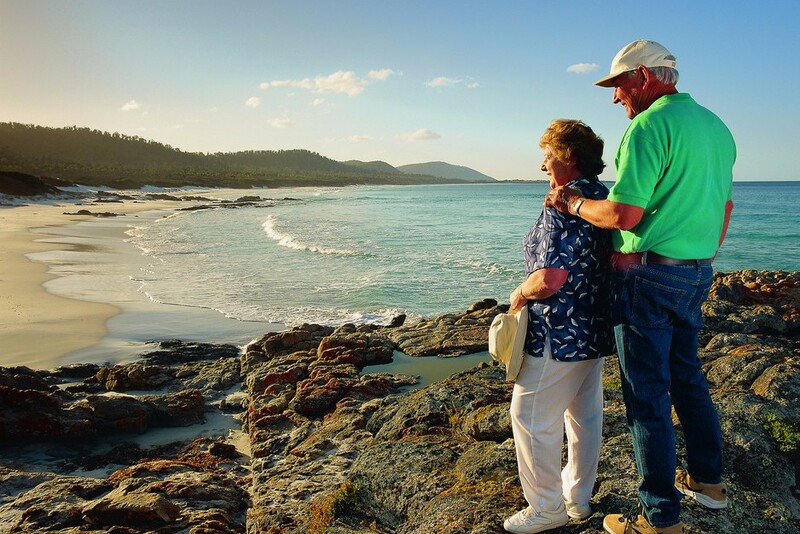 The popular annual Seniors Week program in October will this year feature an over-arching “outdoors” theme where participants will be encouraged to attend events in Tasmania’s abundant parks and reserves. 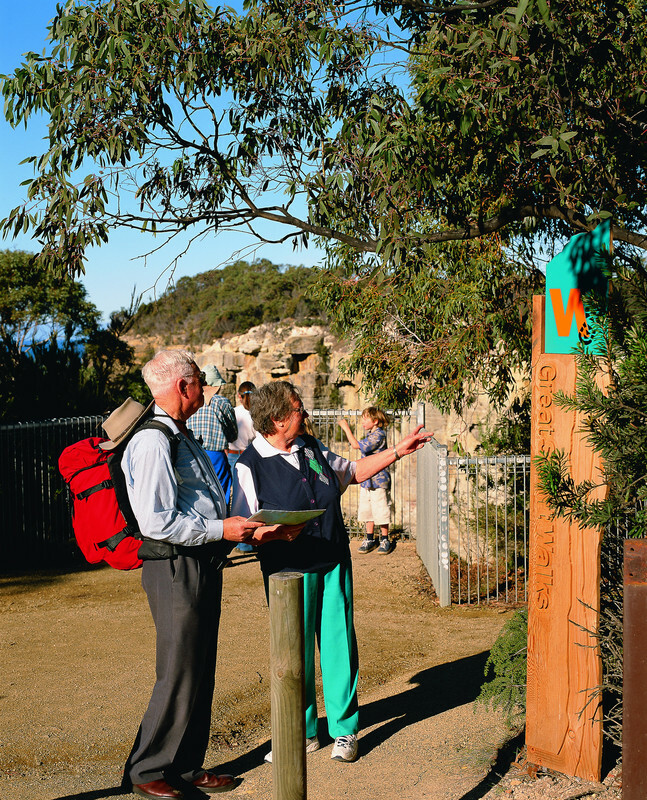 COTA is collaborating with the state’s National Parks and Wildlife Service to encourage the development of new outdoor events to be held during Seniors Week. The collaboration will commence with the official launch event - now traditionally held two weeks ahead of Seniors Week in early October – being held in a popular national park near Hobart. “Tasmania has an abundance of stunning, world-class parks and reserves with many just minutes from major population areas,” says COTA CEO Sue Leitch. 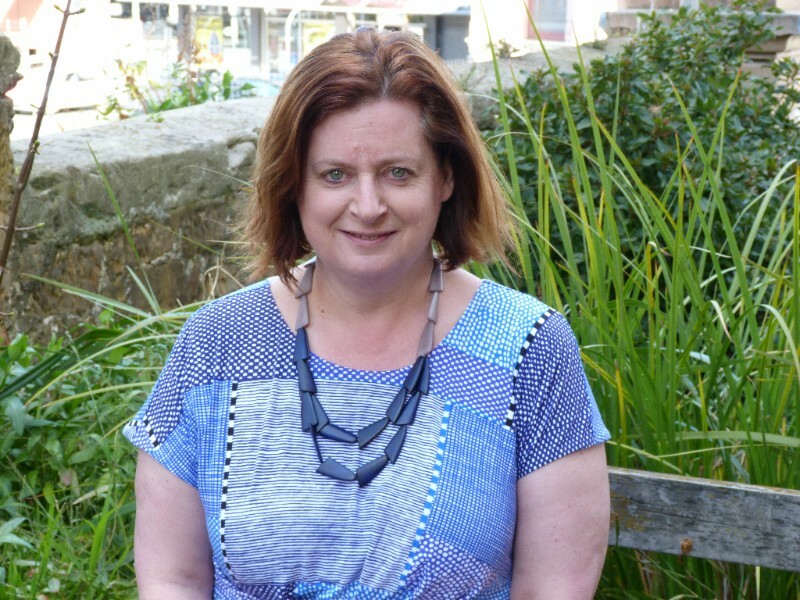 “We have learned that many Tasmanians aren’t aware just how easily accessible and ‘senior-friendly’ many of our parks and reserves are. “Our research identified an appetite among patrons for more outdoor gentle leisure options during Seniors Week. So we are working hard to try to include these types of events in our 2017 Seniors Week program." Registrations to conduct official Seniors Week events of all descriptions in all areas are most welcome. Registrations open online via the COTA website on 3 April, closing 30 June with the official events guide commencing distribution in early September. Contact the COTA TAS office for more information. From 27 February 2017, if you choose to change Home Care providers, your package funding will move with you. This applies to existing home care package recipients and to new clients. If you are happy with the services you are getting, you don’t need to do anything. If you are a new client, you will be prioritised for a home care package based on your assessed care needs. If you already have a home care package, it will be easier to change providers if you move to live in another area or you are looking for a better fit. Before making a decision to change your service provider, you will need to review your Home Care Agreement to make sure you are aware of any fees and conditions. Providers are able to charge an exit fee to cover any administration costs they may incur. This has to be agreed between you and your provider and will be included in your Home Care Agreement. Over 170 000 older Australians living in residential aged care are ineligible to access mental health services when they need them. Why? Because the Better Access to Mental Health Care program, introduced in 2006, excludes aged care residents. To sign COTA Australia’s petition and join the campaign click here. Are you interested in Dementia Friendly Communities? 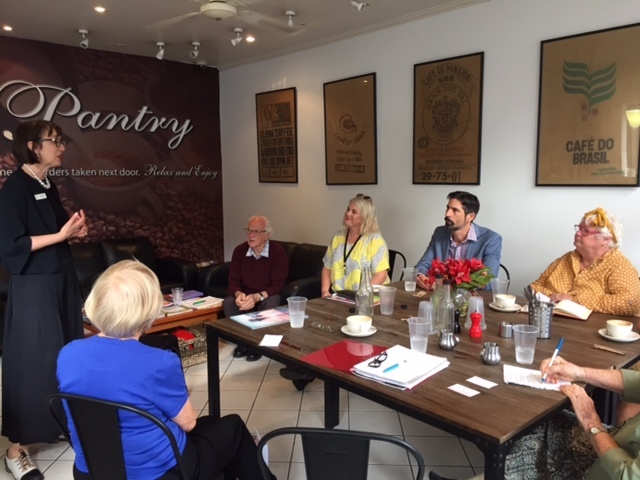 Researchers from the Wicking Dementia Research and Education Centre will be holding a community forum about dementia friendly communities on Tuesday 11 April from 11:30am - 2:30pm at The Italian Club, 77 Federal St, North Hobart. People living with dementia or carers of people living with dementia are encouraged to attend. The forum is free of charge and a light lunch will be provided. 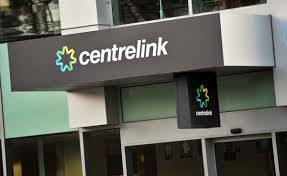 Centrelink Debt Recovery – have you been affected? If you are one of the many people who have received a debt recovery notice from Centrelink we would like to hear from you. A new automated online system used to compare income records with Australian Tax Office records has resulted in a large number of people being issued with debt recovery notices, many of which are incorrect. Information collected by COTA will be used to inform the parliamentary inquiry, and all responders will remain anonymous. If you have been affected please contact our offices either by phone 6231 3265 or by email admin@cotatas.org.au. If you have received a debt recovery notice and are unsure what to do next you can contact Centrelink on 1800 086 400. Primary Health Tasmania has just launched a new education and awareness campaign to guide Tasmanians to the best options for after hours medical care. 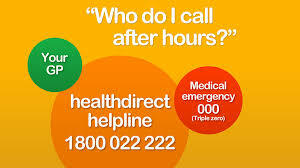 If you need care at night, over the weekend or on a public holiday you can call Tas After Hours on 1800 022 222 and speak to a registered nurse. The telephone service is free. For more information go to the Tas After Hours website. COTA Tasmania is pleased to announce that we have recently become an official supporter of 26TEN Tasmania. 26TEN is a program that aims to improve literacy and numeracy throughout Tasmania to ensure everyone has the skills they need for work and life. Sadly one in two adult Tasmanians don’t have the basic skills needed to fully engage with family, community and work. Every day tasks such as reading a label or filling out a form can create high levels of anxiety leading to isolation and depression. We are very excited to be part of the 26TEN family and our staff look forward to putting the program into action. If you would like more information about 26TEN and where you can access the program call 1300 002 610 or visit their website www.26ten.tas.gov.au. Join the fun with Healthy Hobart! From February 16 to April 13, the City of Hobart is running free activities for people of all ages and abilities. Some of the activities on offer include mobility & stability sessions designed to improve your mobility, core strength, balance and flexibility, heritage walks, orienteering, tennis and surf lifesaving. To view the event guide click here. Clinics are free of charge, places are limited. For more information click here. Partners in Change have designed a four-month program that enables organisations to develop a full understanding of their ageing workforce, the risks and opportunities they face and to design a strategy and action plan specifically for their organisation. Each cluster will comprise of 7-8 organisations that learn and work together. Driving Miss Daisy, The Bucket List, As good as it gets, Still Alice, On Golden Pond, The Second Best Exotic Marigold Hotel, The Straight Story, Wild Strawberries, Away from her, Strangers in Good Company, Amour, Flights Up, Calendar Girls, Bridges of Madison County, Fried Green Tomatoes, Grumpy Old Men, Hope Springs, Iris, Something’s Gotta Give, Still Mine, The Notebook, The Savages, The Company you Keep. 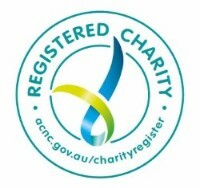 COTA Tasmania is a registered ACNC charity providing education, advocacy and support to all older Tasmanians. Copyright © 2017 COTA Tasmania, All rights reserved.